Raw coastal beauty and a thriving indigenous culture create a magnetic feeling that draws visitors to Haida Gwaii. It’s a serene destination offering history, gorgeous scenery and a peek into the heritage of the First Nations who thrive on this wild west coast. The entire archipelago has something to offer but most visitors will not want to miss these highlights. Located on the southeast coast of Graham Island, Skidegate is one of two Haida communities on the islands. 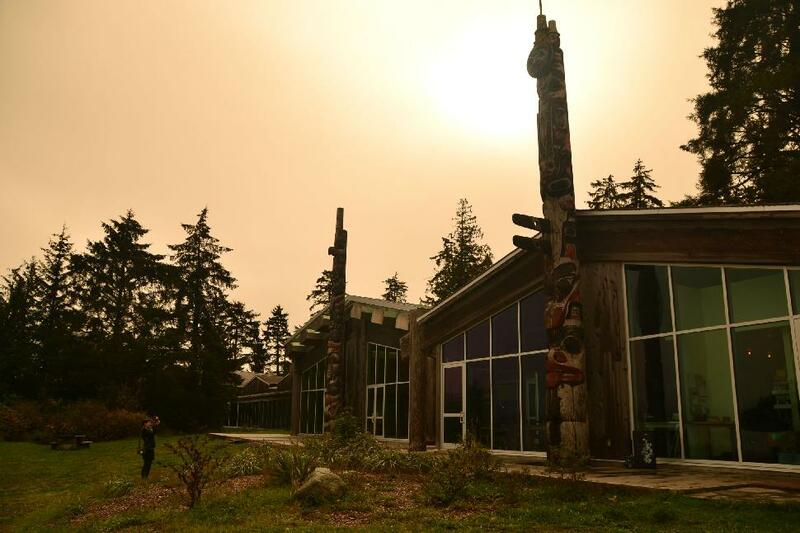 The award-winning Haida Heritage Center and Museum at Kay Llnagaay offers a chance to explore – and admire – Haida art and culture. The Museum displays Haida culture through exhibits, traditional weaving demonstrations, and tours of onsite totem poles and canoes, as well as the carving shed. Overlooking the islands in Skidegate Inlet, a cedar longhouse above the beach houses the Skidegate Haida Immersion Program. While it is not open to visitors, this important initiative is dedicated to instructing and preserving the Haida language. 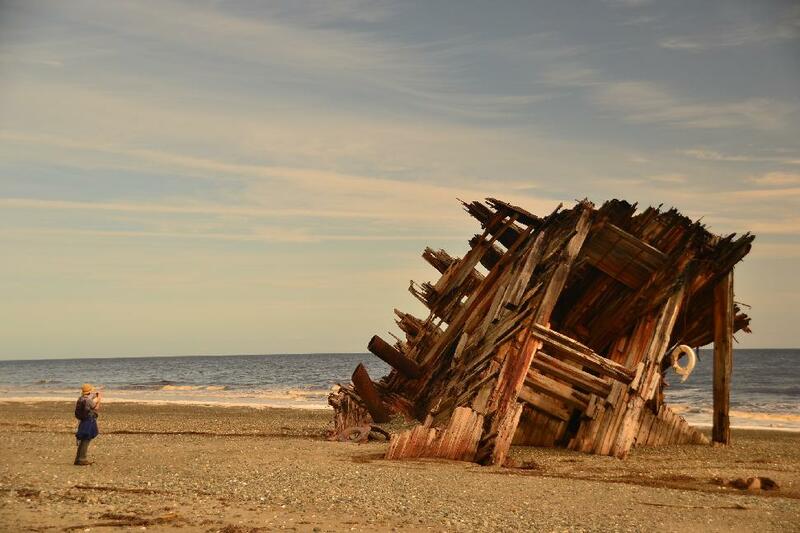 In 1928 the 80 metre log barge ‘Pesuta’ was shipwrecked in a winter storm in the Hecate Strait. The remains of the barge lie north of the Tlell River on East Beach. The 10 km (return) hike out to the hull at low tide is a popular way to explore the beach and view the shipwreck. The trail winds through a mossy rainforest and the four hour journey is enjoyable in most types of weather. Casual hikers turn back at the hull but the trail is actually part of the longer East Beach Wilderness Hiking Trail that continues on for about 90 km. [column size=”1/2″]The Village of Port Clements is a gateway to exploring Haida Gwaii’s rugged west coast via logging roads. The Port Clements Historical Society operates the Port Clements Museum featuring life in the early 1900’s on Haida Gwaii. Over 2,000 artifacts, photographs and indoor and outdoor displays portray pioneering and early logging on Haida Gwaii. 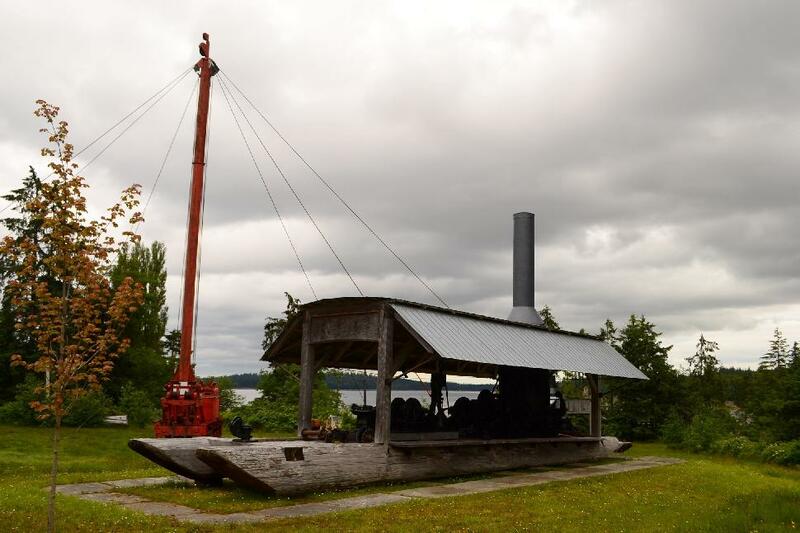 Visitors will also find huge pieces of logging equipment on display on the museum grounds. The Dixon Entrance Maritime Museum in the Village of Masset is housed in the original hospital built in 1914. The museum features exhibits of the fishing fleets, shipbuilders and canneries capturing the settlement and maritime history of the thriving north end communities in a time of abundance and hardship. The museum also hosts local art exhibits throughout the year. The Delkatla Wildlife Sanctuary is a migratory bird sanctuary within a critical chain of BC coastal wetlands, providing a rich feeding area during the spring and fall migration. About 140 species of birds visit the 289 hectare sanctuary featuring viewing platforms, shoreline access and easy walking trails to sandy ocean beaches. The Interpretive Centre houses displays of local plants, marine life and wildlife and an interactive diorama of the wetlands. Local art and t-shirts can be purchased at the Interpretive Centre and tours of the sanctuary can be booked with the knowledgeable volunteers. These two popular walks within the Naikoon Provincial Park begin at the Tow Hill parking lot. The Tow Hill hike is an approximately 2 km round trip through temperate rainforest surrounded by ferns and salal bushes. The boardwalk leads to the top of Tow Hill, a two million year old volcanic plug providing breathtaking views. The Blow Hole is accessed by a wheelchair-accessible boardwalk alongside the Hiellen River at North Beach. The boardwalk leads to a viewing platform overlooking basalt rock formations with tidal pools teeming with marine life. The Blow Hole, also called “the gun”, is a natural channel which fills as a wave pushes water in. The pressure creates a geyser of saltwater reaching as high as 7 metres in the air under the right conditions. It could be the strong sense of heritage or the inspirational setting, but something in Haida Gwaii inspires creativity. The result? 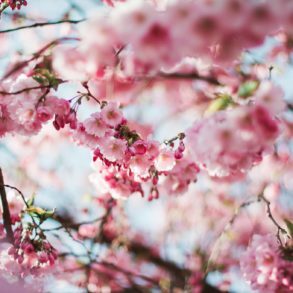 A community of artists who excel in all sorts of mediums. Local galleries feature exhibits of traditional carvings, stained glass, jewelry, textiles and painted works. Individual artists sell their works at gift stores, private shops, festivals or from their homes. Explore the galleries and art studios around the islands and keep an eye out for handmade wearables, instruments and pottery. This popular beach overlooking the Hecate Strait is known for its rugged beauty and is an excellent location for families to beachcomb and explore. Gray Bay beach and the adjacent 20-site campground is located 25 km SE of Sandspit on Moresby Island and is accessed via a logging road. 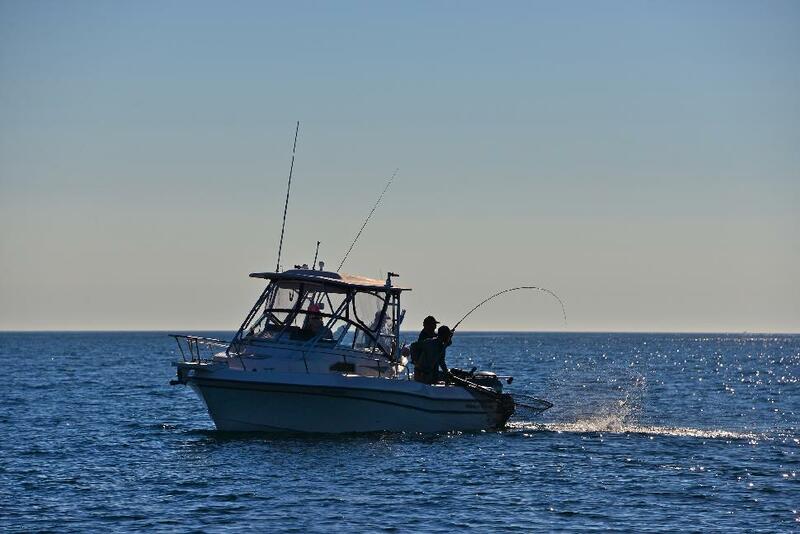 Anglers from around the world come to Haida Gwaii for its world-class sport fishing opportunities. Salmon, halibut and other species make for exciting fishing and excellent eating. Haida Gwaii is the feeding ground for wild Pacific salmon as they migrate to their spawning grounds. These salmon are considered to be at their peak form and are known to be the best tasting wild salmon. Salmon run from early May through the end of September and halibut from March to September. Serious anglers head for the riverbanks in search of the elusive Winter Steelhead from October through March. The season peaks in December and January and these fish are catch-and-release. 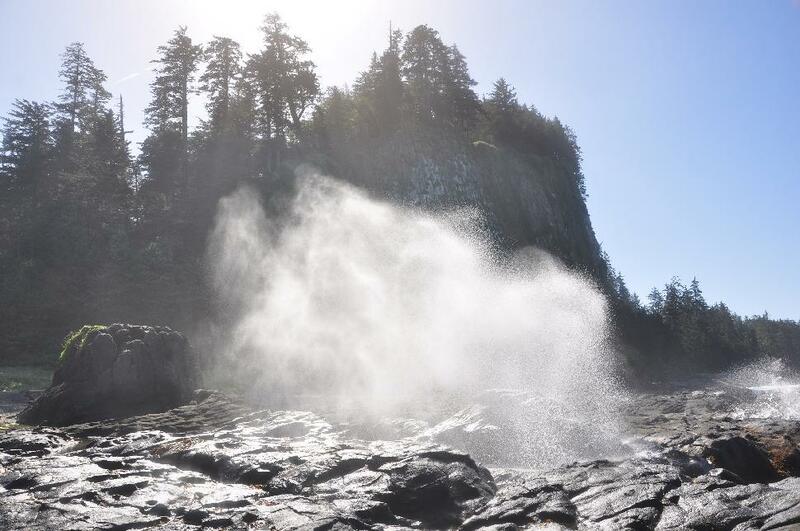 The Gwaii Haanas National Park Reserve, National Marine Conservation Area, and Haida Heritage Site is one of the top-rated parks in the world. The park can only be reached by sea or air. Popular zodiac and kayaking tours can be booked from Haida Gwaii tour operators. The unspoiled region has few facilities and provides an incredible wilderness adventure within the archipelago for the prepared visitor. 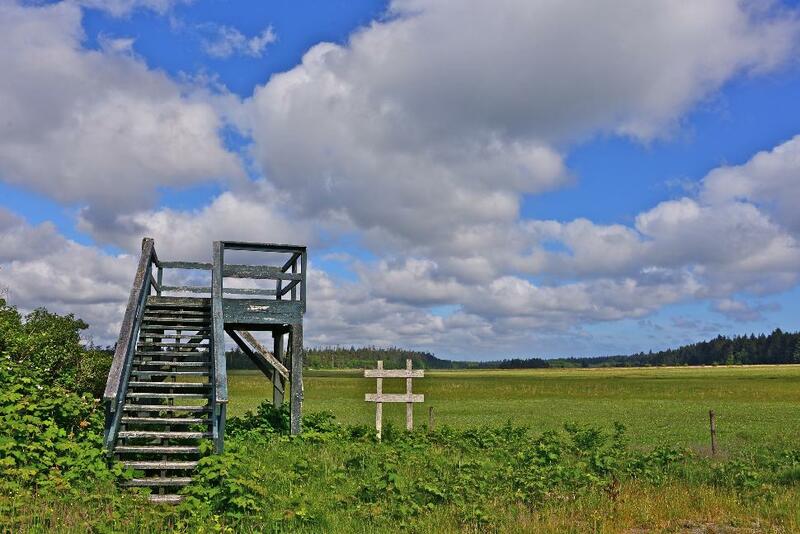 Gwaii Haanas is also home to a UNESCO World Heritage Site: SGang Gwaay (pictured above). 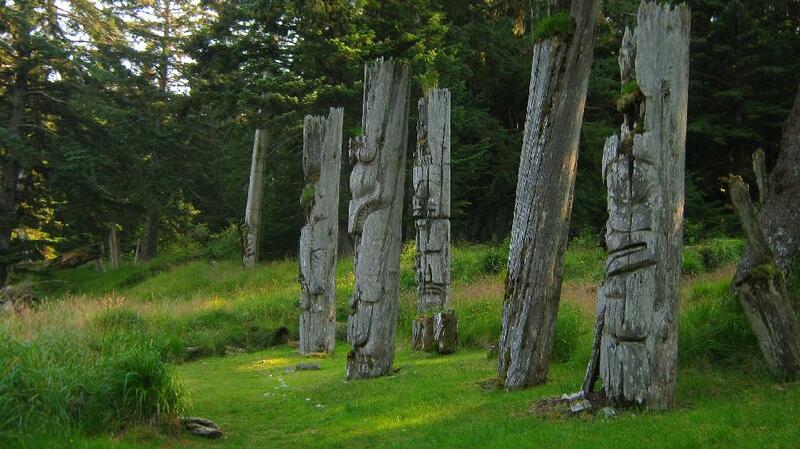 There remain the ruins of a 19th-century Haida village, complete with houses and carved mortuary and memorial poles. 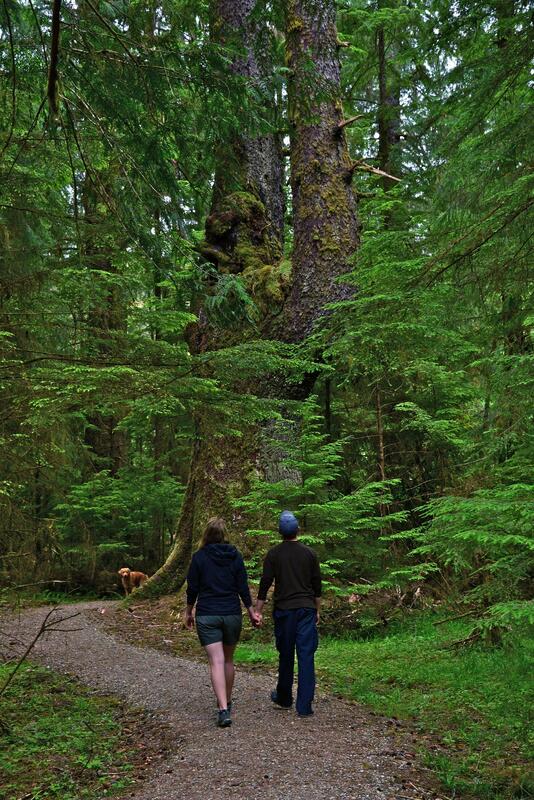 Ready to plan your Haida Gwaii adventure? use a handy trip planner & more.